Both Adrian Huston and Felicity Huston were tax inspectors for HMRC before they set up Huston & Co. Felicity specialises in tax investigations within the firm as this was her main job for the government. HMRC has rebranded tax investigations, now calling them Enquiries into Tax Returns. Sometimes they refer to Compliance checks. They are just as scary, intrusive and time-consuming as before – all that has changed is that the fines (penalties) are bigger. HMRC has launched an Enquiry (investigation) into their affairs for a particular year, and they need a tax specialist to help out. They have been hiding something from HMRC. They want to come clean and confess. Their current accountant is not experienced in handling tax investigations. There may be a tax amnesty for their type of business and they want experts to help them avail of it. HMRC is investigating them partly due to the value of their assets. High Net Worth Individuals. See Adrian on BBC TV news here. What if you already have an accountant? May accountants will admit that they are not experts in handling cases where HMRC is challenging your tax return. This is an area many of them get little practice in working. A tax investigation take 6 months to 2 years of your life – and this can be a very stressful, and often expensive, time. There are massive benefits to having someone standing between you and the tax-man who is an expert in defending your case. 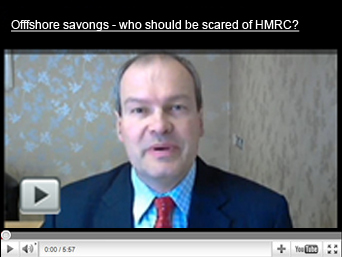 We are not scared of HMRC Inspectors (having performed that role ourselves). We know when the Inspector is chancing their arm and when they need to be told to back off. Equally we will not fight a lost cause and spend £1,000 of your money arguing over £100 of tax! If you are the subject of an HMRC enquiry, or wish to declare something for the first time, call us on 028 9080 6080.